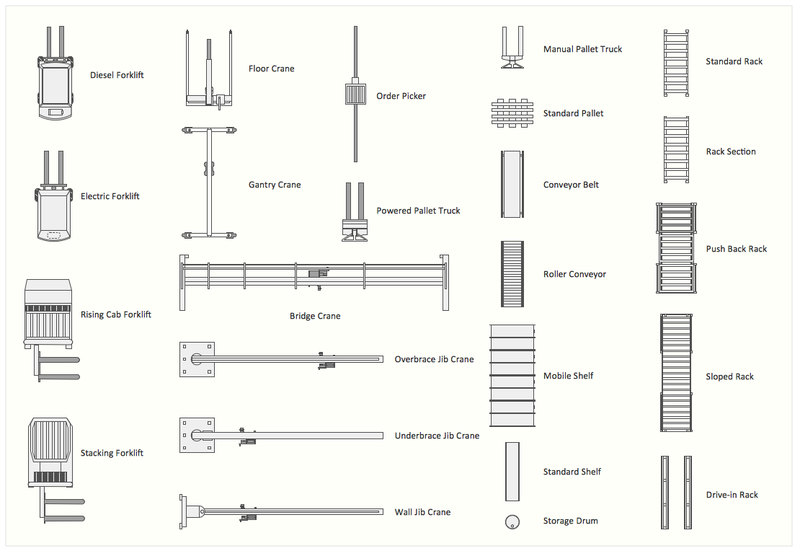 The vector stencils library Storage and distribution contains shapes of storage and distribution industrial equipment for ConceptDraw DIAGRAM diagramming and vector drawing software. Use it to draw plant interior design floor plans, storage and distribution equipment layouts. (macintosh, windows) for building drawing.